Over the years the floodplains that once protected most settlements from flooding of the River Stour have either been built upon or heavily farmed reducing their ability to cope as effectively with flood waters. However the agricultural areas which remain interspersed amongst the urban centres are still important for flood storage. Where houses have been established on the flood plains there is an even greater risk of flooding and adaptions have to be made, for example flood storage reservoirs were completed in the Upper Stour in the 1990s providing better protection for Ashford. 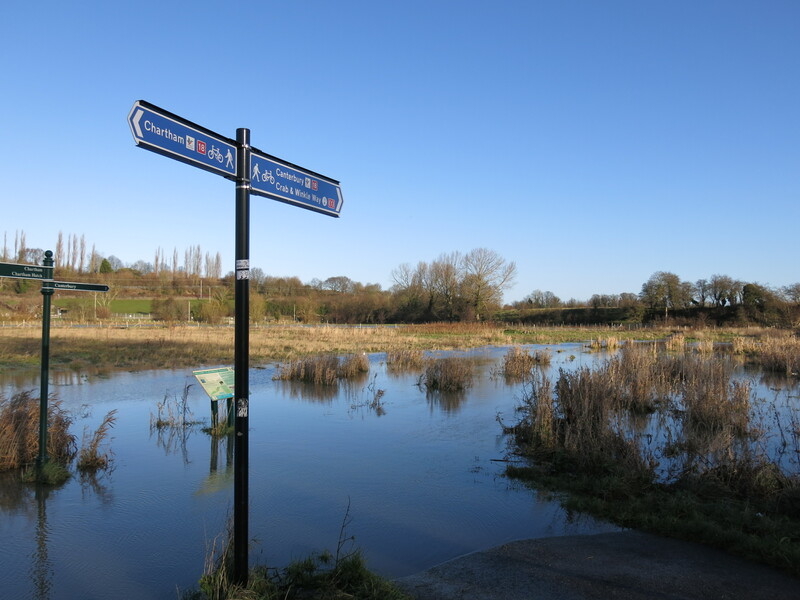 The main flood risk to the River Stour comes from prolonged rainfall whilst high tides can also prevent flood waters draining into the sea. Over the last 60 years the catchment has flooded regularly with 9 being recorded as major flood events, the worst in 2000/01. Due to the 5 tributaries converging in the town, Ashford has been particularly at risk but storage reservoirs have helped reduce this risk. The city of Canterbury has not experienced extensive flooding as most of the river is contained within walls as it flows through the city; however, in 2000 between 50-100 properties were flooded in the city centre. 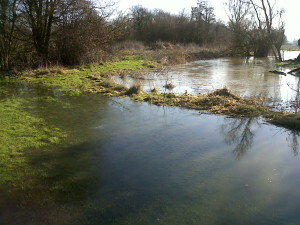 A major change that was made to the River Stour to prevent flooding at Sandwich was the creation of the Stonar channel. Towards the end of the River Stour’s course the water has to make a winding route to the sea, this long route delays the amount of time the river and any floodwater takes to reach the sea increasing the risk of flooding. In 1776 a flood relief channel called the Stonar Cut was made cutting across the neck of one of the very large hairpin bends towards the end of the river’s course. The gates, now a modern flood gate, are opened after prolonged rain meaning that the flow can be diverted down the Stonar Cut direct to the sea. This adaption has meant that around 3,000acres of land benefit from a reduced risk of flooding. 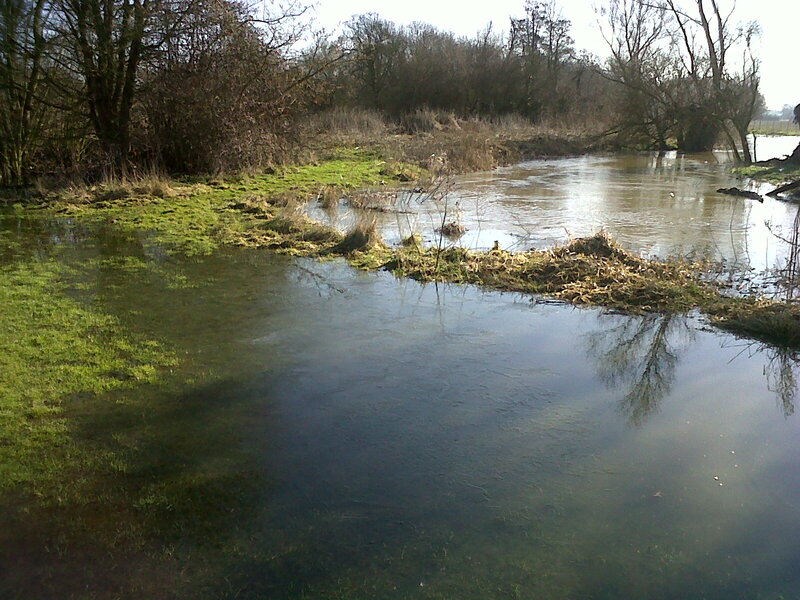 The Environment Agency is the main organisation responsible for reducing the risk of flooding along the River Stour. 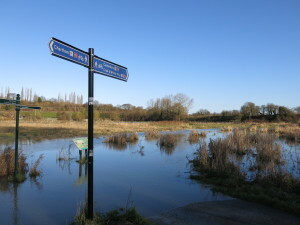 The main ways in which they do this is through maintaining existing flood defences and structures, creating new or replacing current flood defences, forecasting for flooding and sending out warnings when necessary, influencing the planning of new developments near the river, mapping the risk of flooding, providing environmental improvements and strategically planning for long term investment. In order to provide these services the Environment Agency works alongside other organisations such as local councils or governmental advisors such as Natural England.